Classic colonial within walking distance to the Village shops, restaurants, cafe, farmers market and the commuter train to Manhattan. The large front porch welcomes you home or serves as the perfect spot for morning coffee or an evening cocktail. 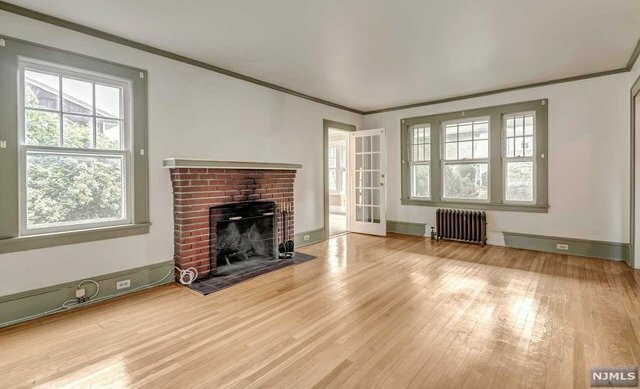 The home offers large rooms, formal dining room, bonus room ideal for a playroom or home office, wood burning fireplace and great period details throughout the first floor. Three bedrooms upstairs with a huge master, full bath and stairs to the walk-up attic with many possibilities. The basement is finished with two additional rooms and the home has central air too. Massive deck off the kitchen that leads to the level backyard ideal for parties and barbecues. This one is definitely worth a look. Listing courtesy of Better Homes and Gardens Real Estate Rand Realty - Hoboken.